Fresh from reaching the FA Cup Final with a victory over a Tottenham last weekend, it’s time for United to race another North London adversary in Arsenal as conformation of finishing places edges nearer. It will be the final time that Arséne Wenger visits Old Trafford; and despite it not being a match-up against his traditional foe of Sir Alex Ferguson, José Mourinho will be enough to get the legendary and highly influential Frenchman ready for the challenge. An old Premier League classic usually has more riding on it – but it’ll surely be an interesting and historic encounter. It’s no surprise that Arsenal have once again reverted back to the 4-3-2-1 formation after their endeavours over the last 12 months with a three-at-the-back system. Like the hosts this time last season in the same situation heading to the Emirates, Wenger is set to rest a host of stars as they need a goal in order to advance in their Europa League semi-final second leg against Atlético Madrid. It’s difficult to predict their line-up but usual domestic-only men in goalkeeper Petr Čech and strike Pierre-Emerick Aubameyang are expected to start. Rests may come for Lacazette, Özil and Jack Wilshere due to their crucial play in the so far successful European system. That could mean big chances for inside forwards Alex Iwobi and former red but forever Mancunian Danny Welbeck to impress before a summer of likely uncertainty. Sead Kolašinac could return to give rest to a man in the back line but so could youngster Ainsley Maitland-Niles if Wenger feels the versatile wide men deserves a shot. Fresh from a few days break following that semi-final triumph, the squad should feel refreshed and raring to return to Old Trafford to bring confidence back home. Mourinho still believes his side are still not appreciated and valued enough by the media, and a win over Wenger in their final meeting would certainly help his cause. The club have promised to honour the Frenchman in his final visit to Manchester but will be eager to take advantage of the likely generosity by United fans and sneak a win despite the top 4 almost being over (needing an 11-point swing in 3 games) for them as they focus on their Europa League exploits – something his adversary in the opposite dugout knows all about. Sánchez is set to face his former club after scoring once again at Wembley but former red Mkhitaryan looks set to remain on the sidelines. As always every season, the full squad took time out of their days on Thursday to visit children in need of care as part of Dream Day organised by the club’s Foundation. Antonio Valencia may be available to feature after going off injured at Wembley. Eric Bailly has been ill lately but could return to the squad. Ander Herrera impressed in the semi-final so could well grab a start but might be sacrificed for a more attacking set-up. 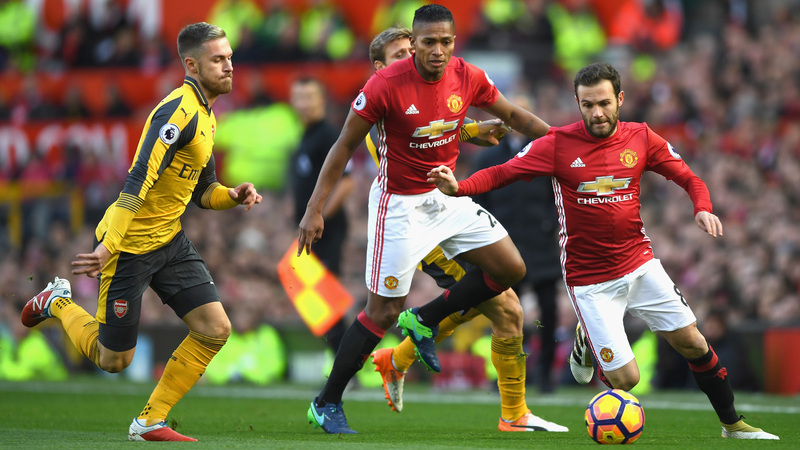 Juan Mata and Anthony Martial have missed out as of late but are likely to get minutes this time around.